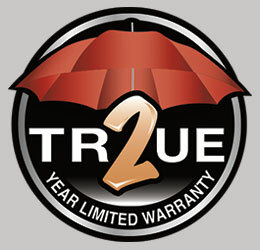 KZ’s 24-month hitch-to-bumper limited warranty umbrella is the best 2‑year warranty in the business, covering more than 1,500 operations codes for a full two years, and protects your investment while you enjoy your new RV. New Front Profile & Painted Fiberglass Aerodynamic Cap! 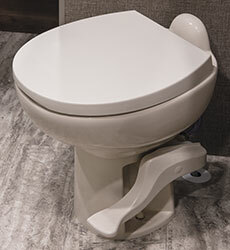 Sleek high-end feature offers good looks. New front window on some models. 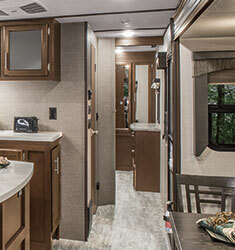 Smart Arm Power Awning w/LED Light Strip & Exterior Controls! 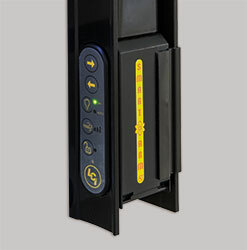 It’s also prepped for motion security & wind sensor options (easy add-on at the dealership). Alumitread® Entry Steps! 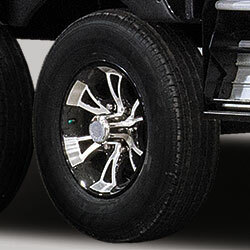 Hybrid step features strong, steel linkage and attractive aluminum treads with anti-slip grooves for excellent traction. 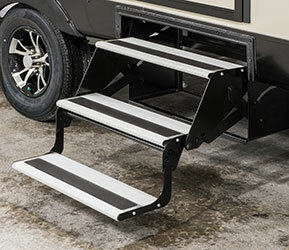 Lightweight aluminum step treads resist rust and ensure long-lasting durability. 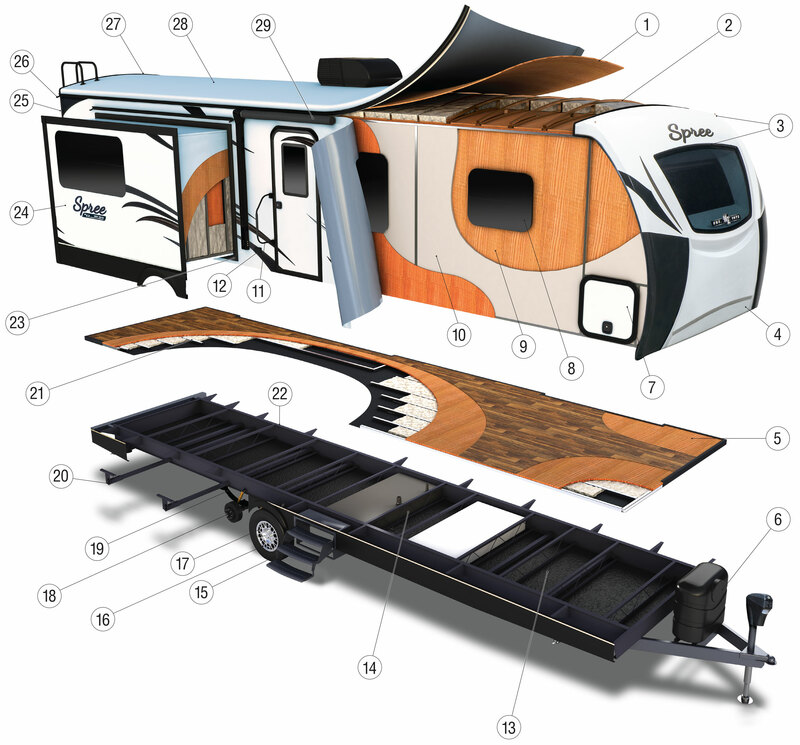 Climate Package – Insulated, Heated & Enclosed Underbelly! 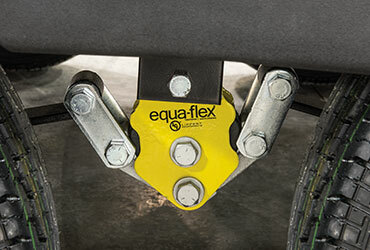 Front & Rear Electric Stabilizer Jacks! 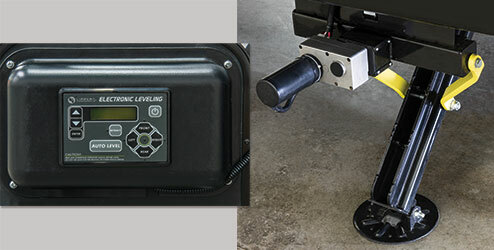 NEW OPTION – Ground Control 3.0 TT Auto 4-Point Leveling System! 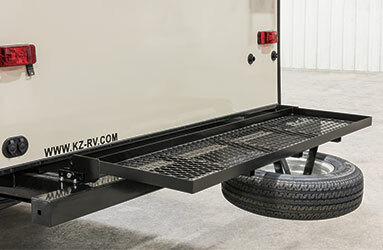 This is the first ever automatic leveling system designed for travel trailers, and its one-touch system levels and stabilizes your travel trailer quickly and accurately in a matter of minutes! 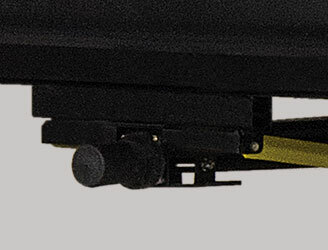 The all-new stabilizer jacks form a rigid triangle; the strongest shape in nature. 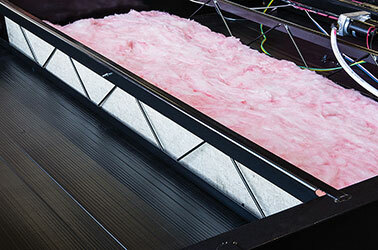 Heated & Enclosed Underbelly! Not just enclosed, but HEATED underbelly. Keeps holding tanks from freezing. 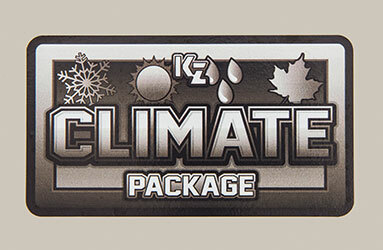 Keeps road grime off holding tanks, wires & plumbing. 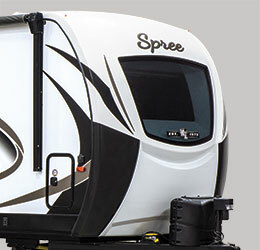 Adds aerodynamics. 5/8" Tongue & Groove Plywood Floor! 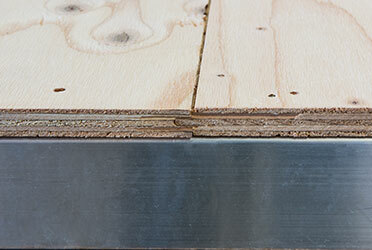 Simply put, plywood outperforms OSB in flooring. OSB is not as rigid as plywood, takes longer to dry out, suffers swollen edges/ridges/“ghost lines” under the linoleum, and degrades faster over time when exposed to continuous water. 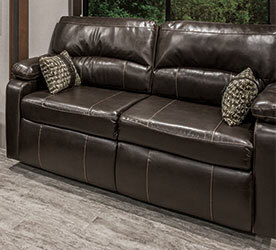 Armstrong® Tough Guard Flooring! 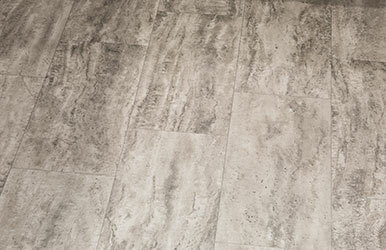 The most durable vinyl flooring available – stain, tear & moisture resistant, featuring a Dehco® 3-year cold crack warranty. 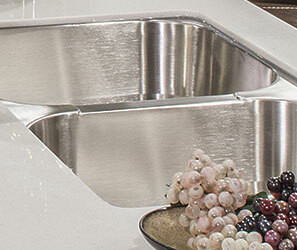 Solid Surface Countertops w/Stainless Steel Undermount Kitchen Sink & Sink Cover! 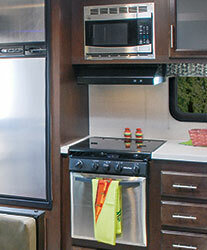 Stainless Steel Microwave & Oven w/Drop-In Cooktop w/Glass Cover! 8 CU FT Gas/Electric Stainless Steel Refrigerator (shown) w/Temp Control. 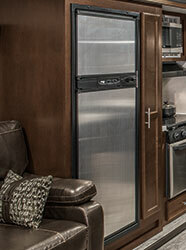 10 CU FT residential style 12V refrigerator is optional! 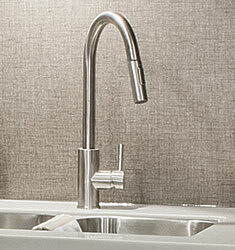 Stainless Steel Residential Kitchen Faucet w/Pulldown Sprayer! 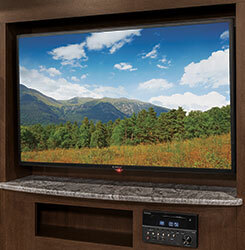 LED TV, with Multi-Media Stereo, Bluetooth, DVD & NFC Wireless Connectivity!